Better known to his contemporaries as an art critic and curator, Roger Fry (1866-1934) founded the Omega Workshops in 1912 in order to promote appreciation of mass, colour and form as seen in the Post-Impressionist painting of artists like Cézanne and Matisse. Fry felt that decorative objects could be used to train the eye to appreciate these characteristics, and that greater understanding of Post-Impressionism could be fostered in this way. 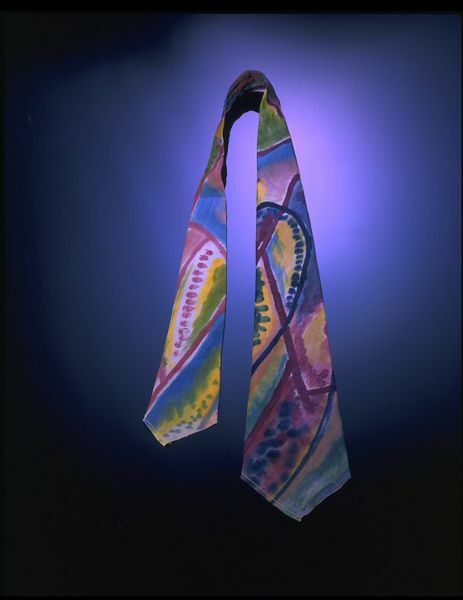 Under the umbrella of the Omega Workshops, numerous artists produced a wide range of objects for the home, including painted furniture and furnishing textiles. Affiliates of the Workshop were salaried, but were expected to spend only 3 half days a week in the group studio and to devote the rest of their time to fine art projects. Consequently the Workshop output was very varied, and reflected current trends in art. 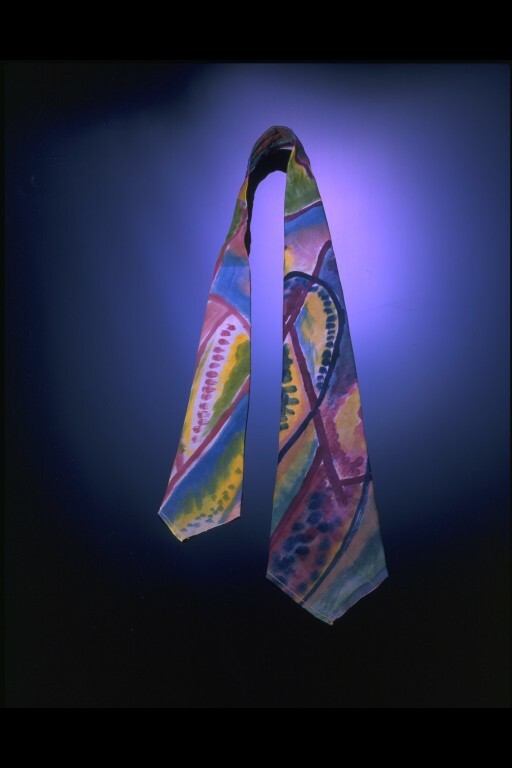 This tie was designed and painted by Winifred Gill, a family friend of Fry's who joined the Workshops at its inception and later became its manager. 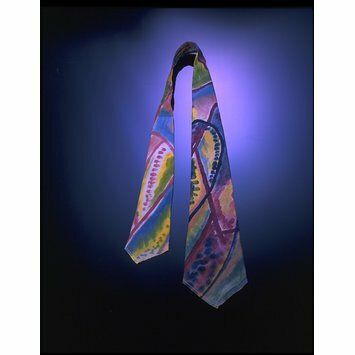 The tie's glowing colours and abstract design relate to textiles designed by other members of the Workshops, but also to developments in art and design in Europe.